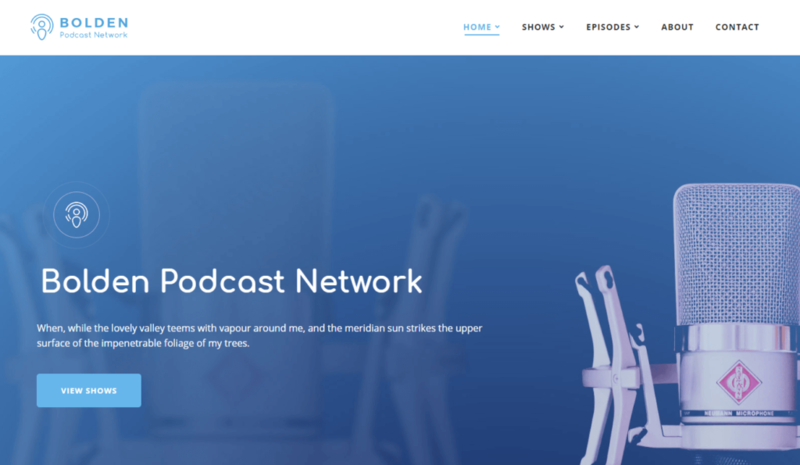 Looking for the best WordPress podcast themes to help you create an online presence for your podcast? We know that 6 themes might be a little smaller than some of the other numbers you see in Google. 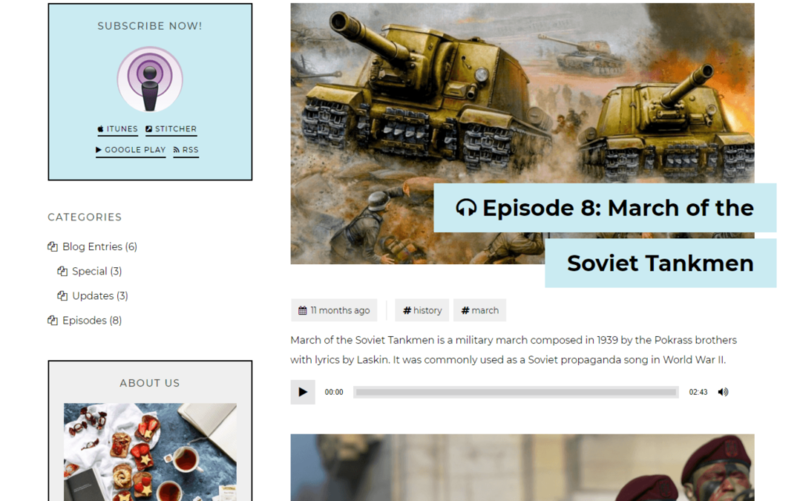 But that’s because we only picked themes that are 100% specific to podcasts (that is, you won’t find any generic multipurpose themes!). 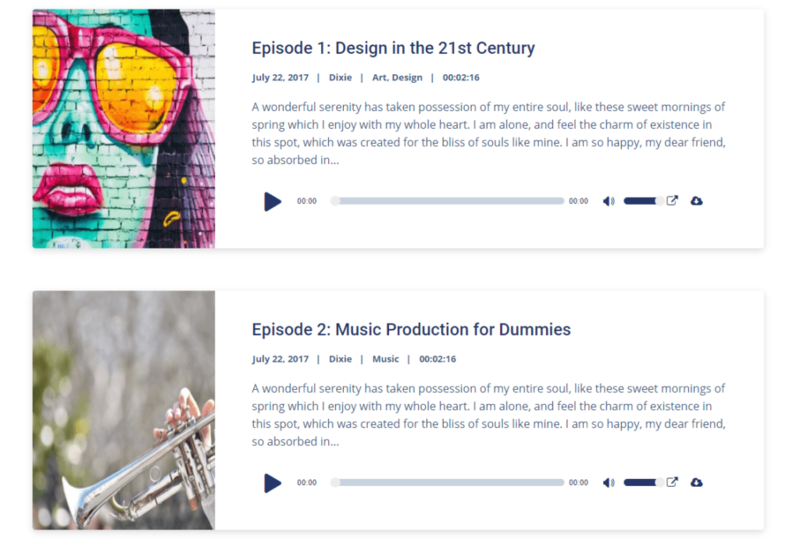 Dixie is a modern-looking WordPress podcast theme that’s built on the free Elementor page builder, which means it’s easy to customize if you want to change up how things look (like colors or layouts). 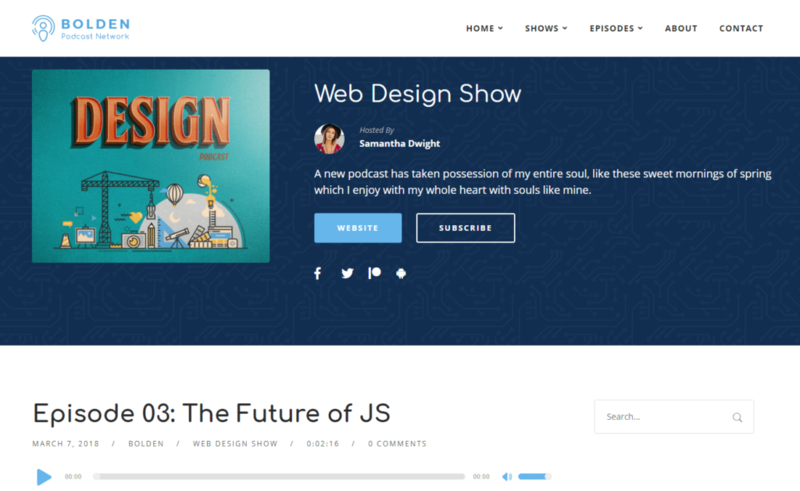 Overall, it looks amazing and does a great job featuring your latest episode right on the homepage. 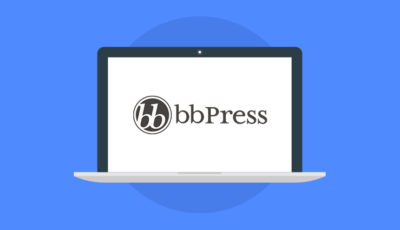 Integrates with Blubrry PowerPress, Seriously Simple Podcasting, and Simple Podcast Press. 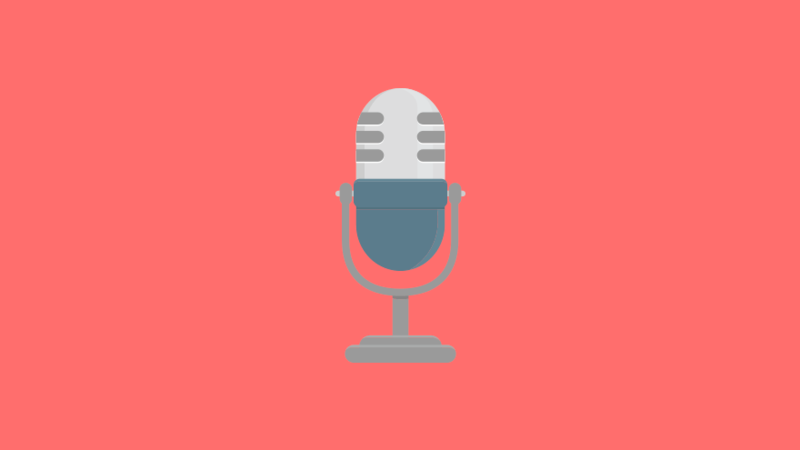 As the name suggests, Podcaster is all about helping you create a podcast website with WordPress. 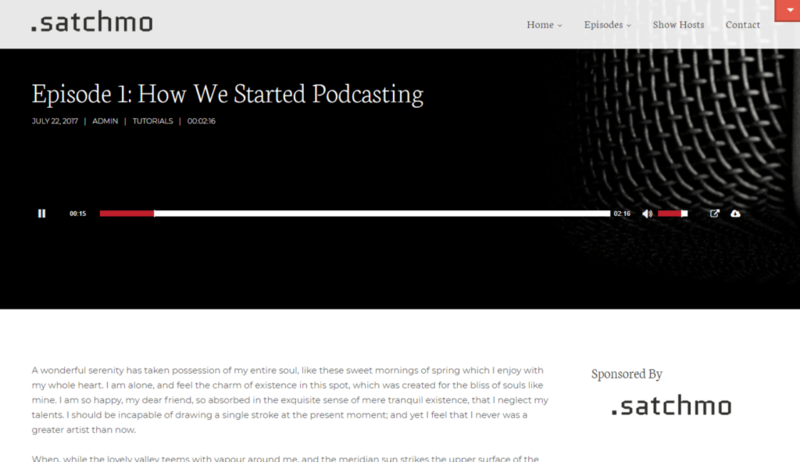 It has a great modern design that supports both audio and video podcasts. 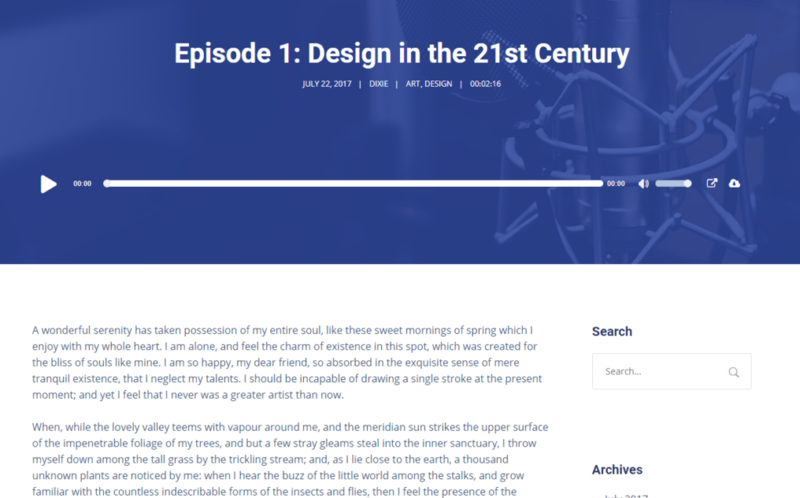 Bolden is a theme from the same developer as the Dixie theme above (this developer has several quality WordPress podcast themes). 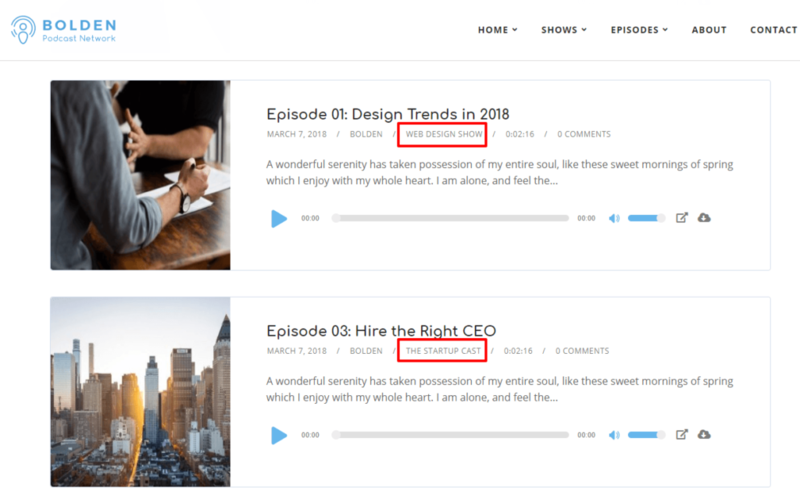 The difference here is that Bolden is more focused on helping you create a podcast network site, whereas that Dixie theme is just for an individual podcast show. 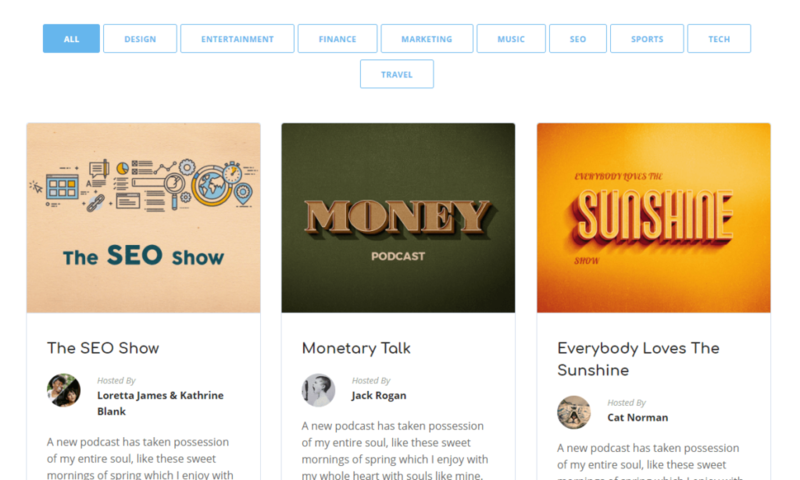 To do that, Bolden lets you create an archive of different shows. 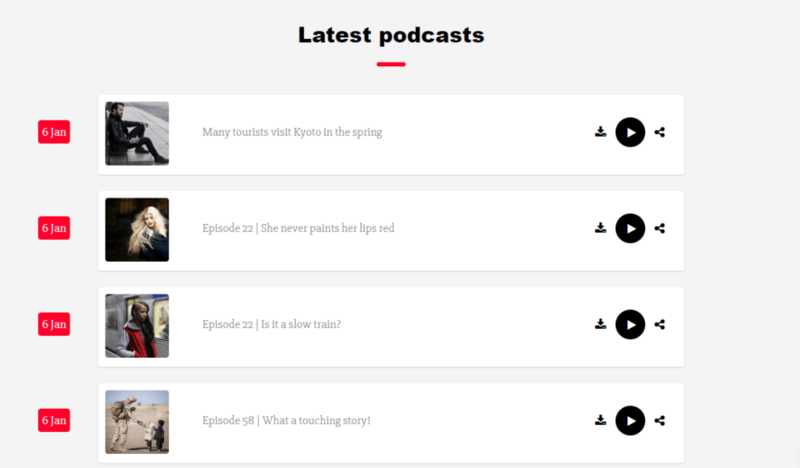 Each show gets its own page with more information, as well as a list of episodes (including an audio player). 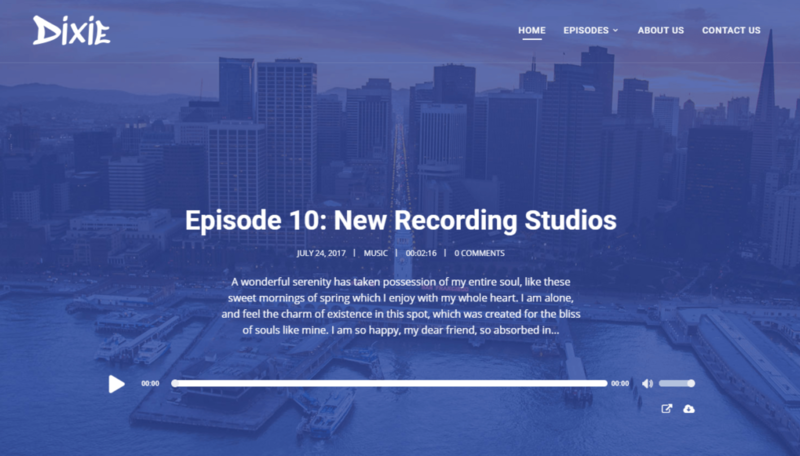 A dedicated page for each show, including information about the host, website, social profiles, and more. 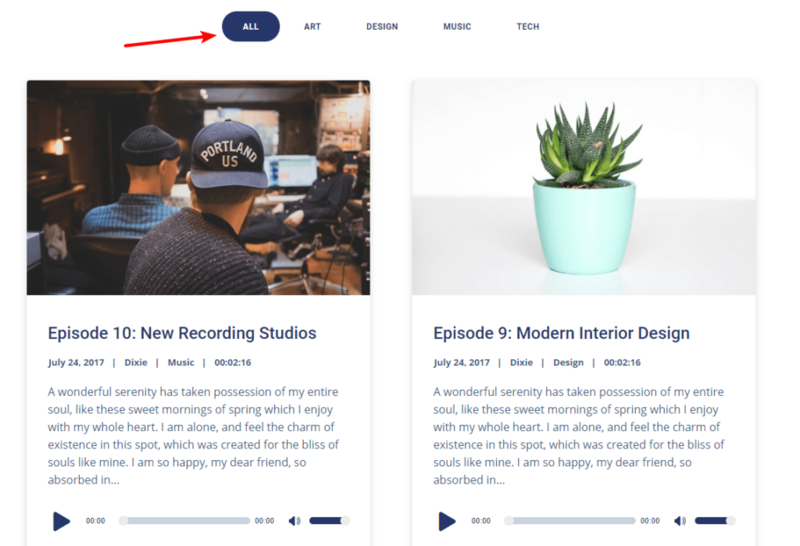 Integrates with Blubrry PowerPress, Seriously Simple Podcasting, PodLove, and SimplePodcastPress. 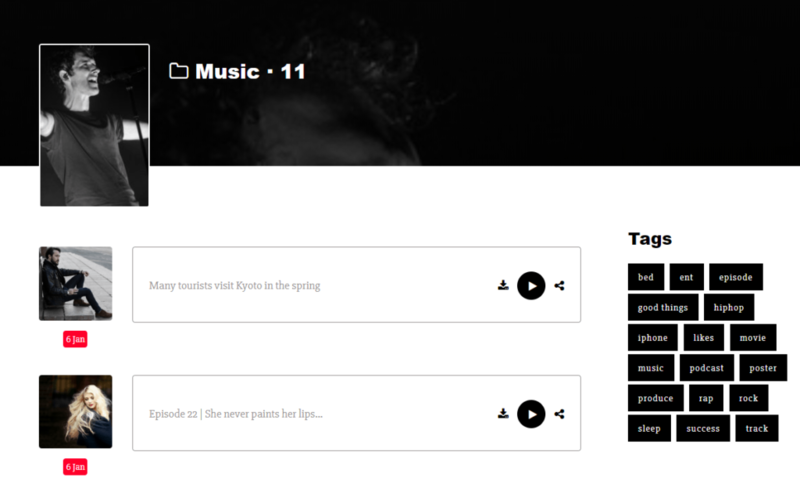 You can also get a real-time sortable list where people can sort individual episodes by show. 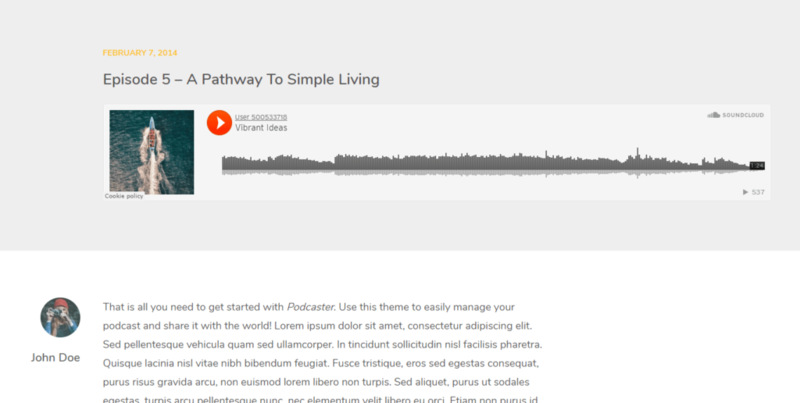 Castpod is a WordPress podcast theme that does a great job of helping you out with some of the more technical aspects of running a podcast website, like importing external podcast feeds and also generating your own RSS2 feed. 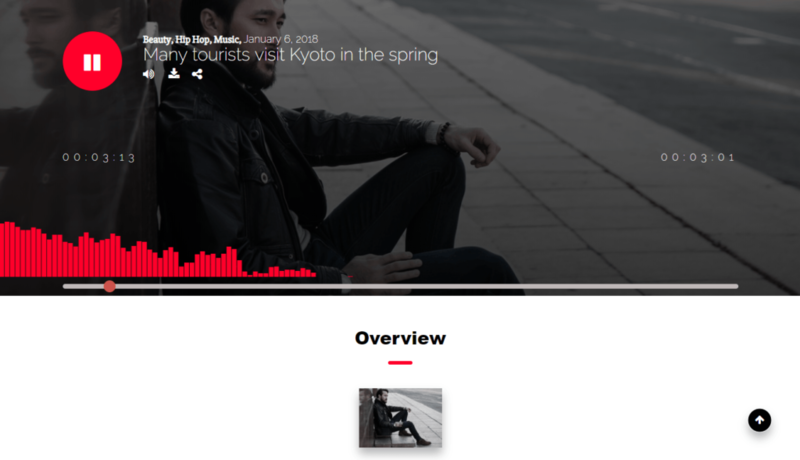 It also comes with its own HTML5 audio player. Try saying “Audioatro” out loud five times fast – it’s tough isn’t it? 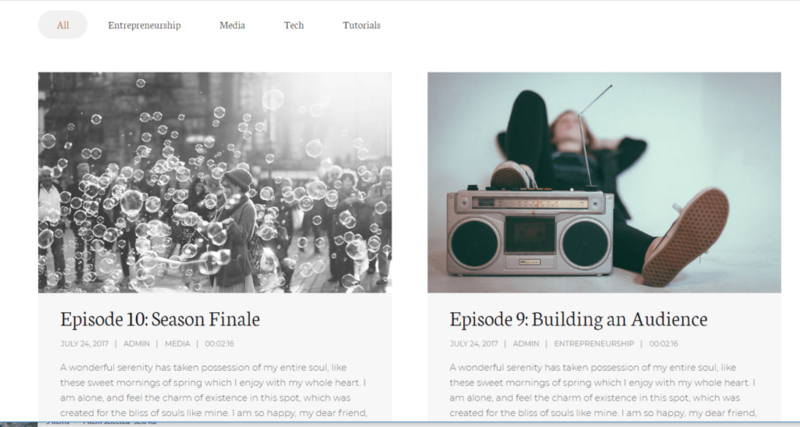 Naming aside, Audioatro is a popular theme that’s designed to help you with “audio playback”. 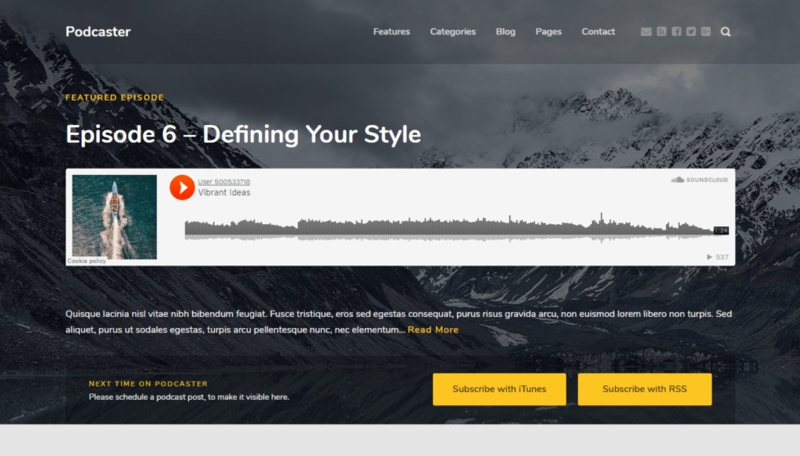 As part of that, it comes with two dedicated podcasting demo themes that you can import to your site (the examples all come from the Podcasting #1 demo). There’s also space at the bottom to add your own text. 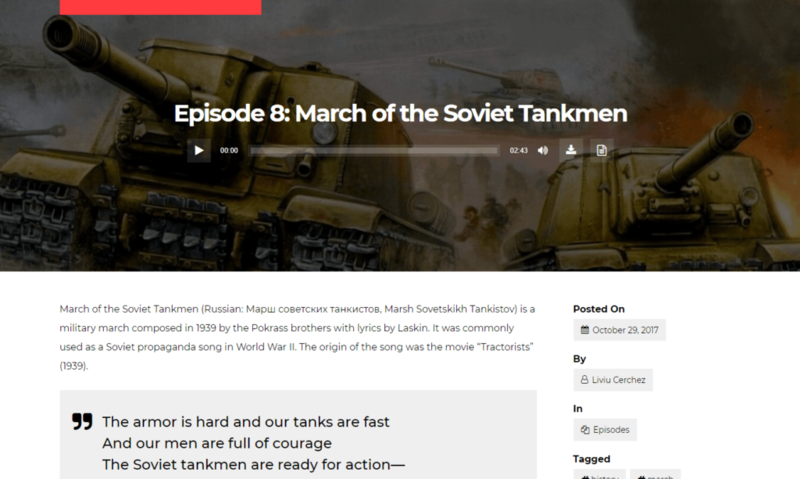 One important thing to note is that the play button on the episode list actually takes people to the single episode page – they can’t play different episodes directly on the episode list, which isn’t ideal. 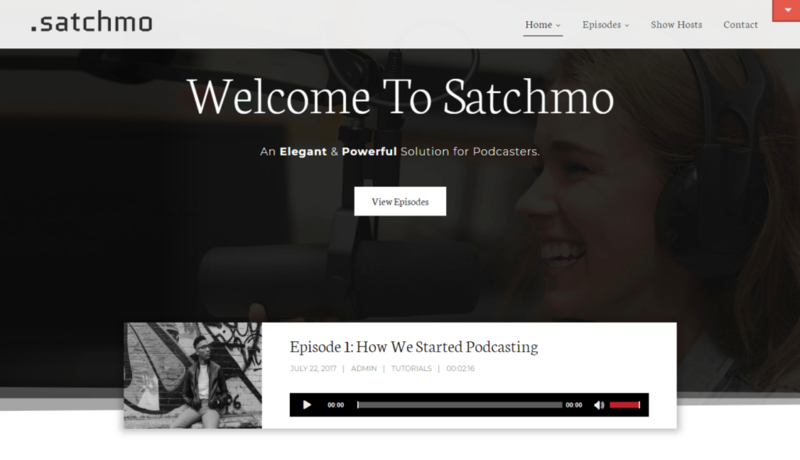 Satchmo is yet another offering from the collection of WordPress podcast themes that includes Dixie and Bolden (we really did try to round up podcast themes from different sources, but SecondLine Themes consistently has the best designs and functionality when it comes to WordPress podcast themes). 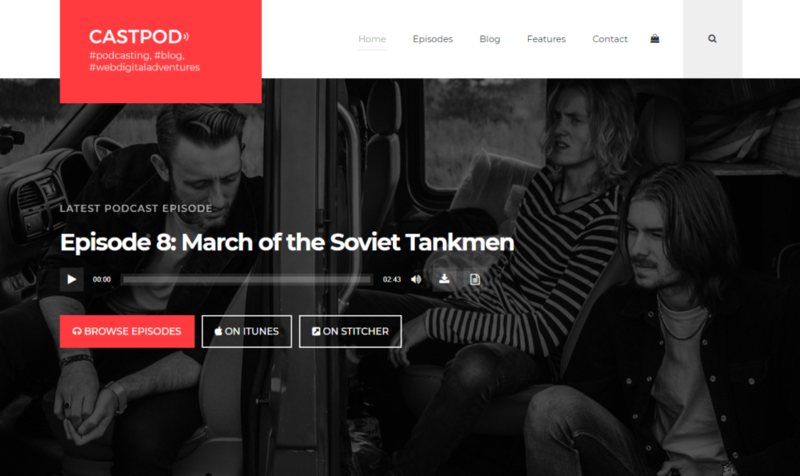 This theme features a bit more classic styling, though, which makes it a good option if Dixie or Bolden were too modern for you. 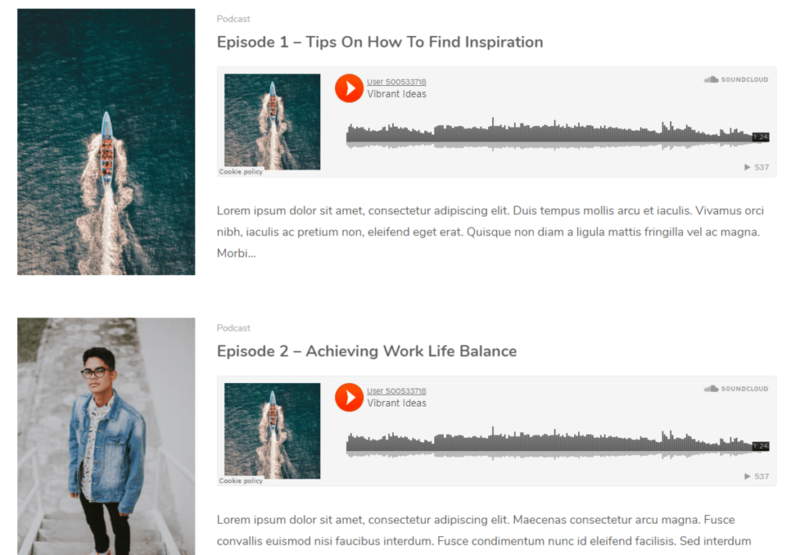 Which Of These WordPress Podcast Themes Should You Choose? 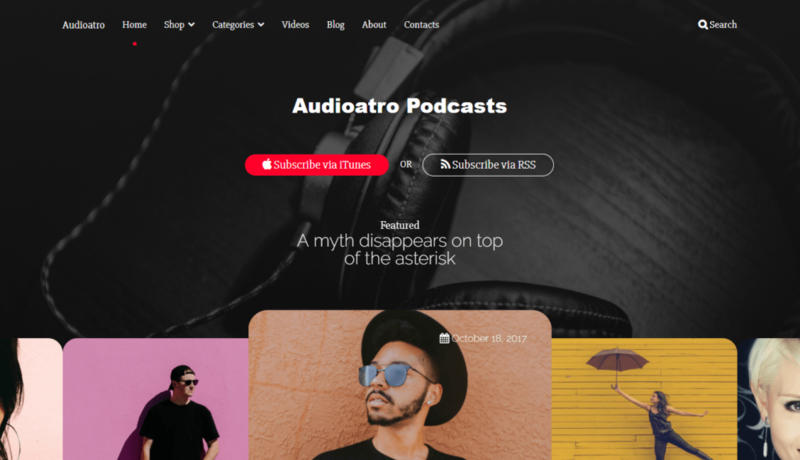 In making this list, we weeded out all of the generic multipurpose themes that claimed they were WordPress podcast themes, so any of these themes should make a great option for a podcast website. 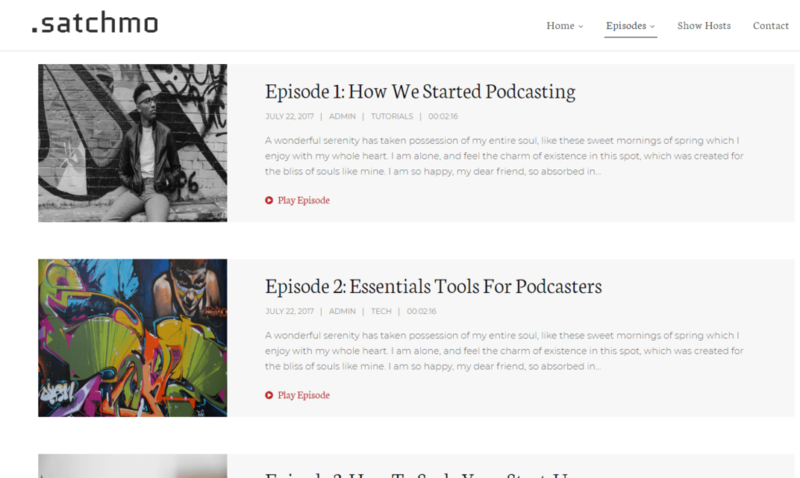 The SecondLine Themes options are especially intriguing because it’s literally an entire theme shop dedicated only to WordPress podcast themes. 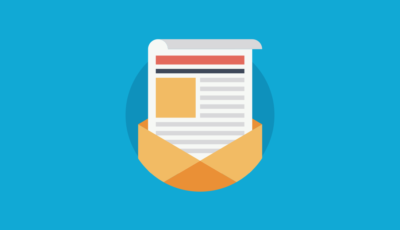 But all the non-SecondLine options also have something great to offer. Let us know which one is your favorite in the comments!